You read that right, I’m just calling it what it is today guys. 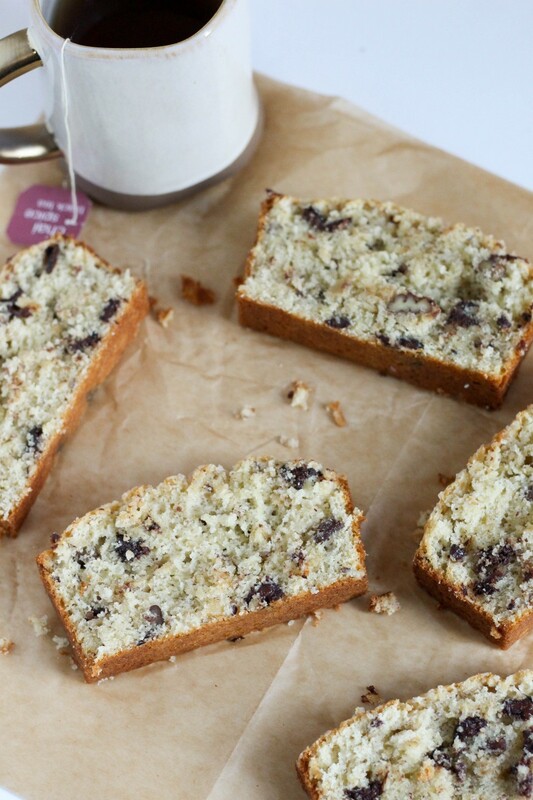 We’re having cake for breakfast. 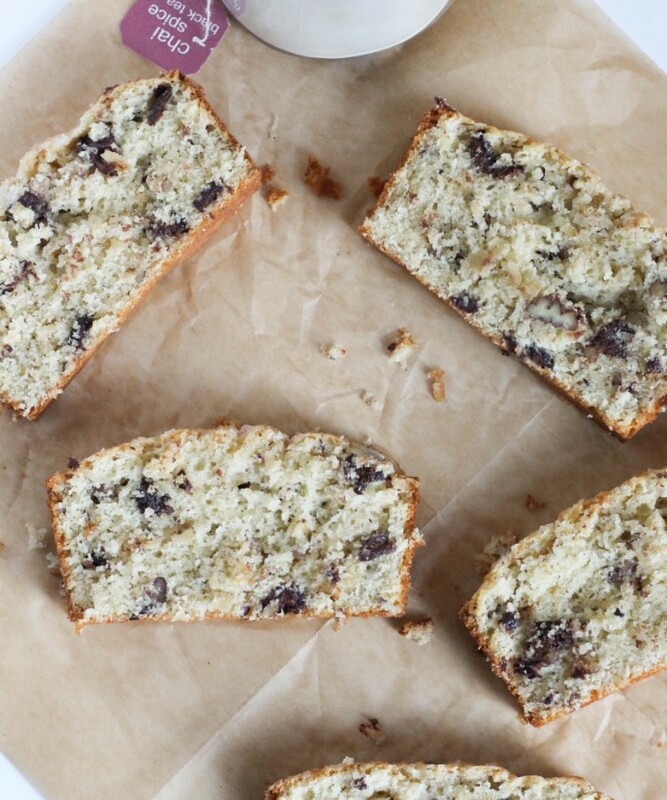 Don’t worry, it’s basically like a giant slice-able muffin baked in a loaf pan. 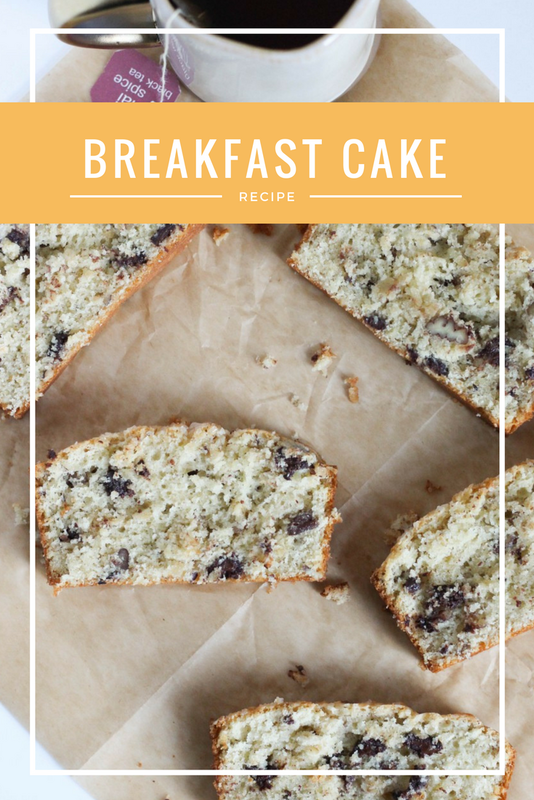 It’s got SOME breakfast-y ingredients, plus it’s topped with coarse sugar for that yummy crunch on top. Another thing I’m going to be honest with you guys about- I made this recipe super quickly in the roughly 20 minutes that my child was sleeping, and threw in a lot of random things that I happened to have in my pantry. BUT, the results are legit you guys, I love this cake. I knew I wanted it to feel a bit more hearty than just a plain loaf cake, so I added a few things to achieve it. First, oats. 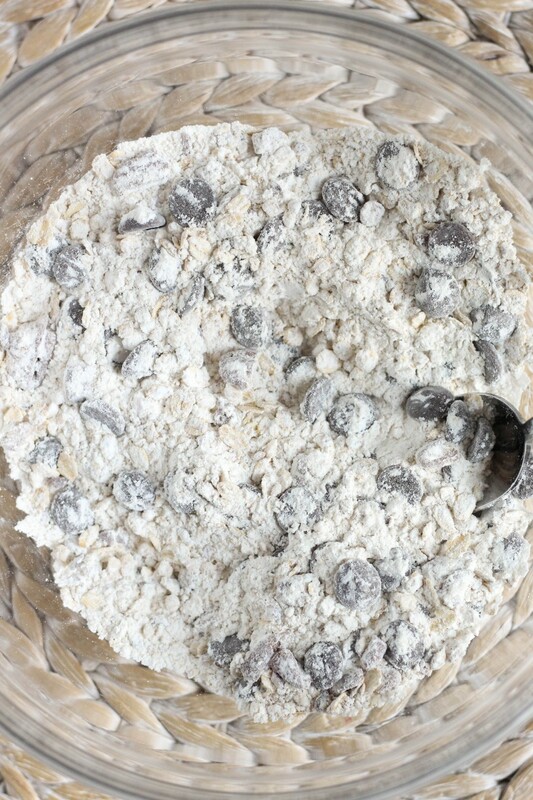 I threw in some old fashioned oats, as well as some ground into a powder in a food processor. Oat flour is a great flavor booster, and it’s super easy. I also threw in some chopped hazelnuts and pecans. Listen, I had small amounts of each of them leftover in my pantry. It is what it is, and what it is is super tasty. Did that make sense at all? Anyways, also chocolate chips because ya know. Chocolate. A heavy dollop of sour cream keeps this cake moist, and a dash of vanilla extract rounds out the flavor. 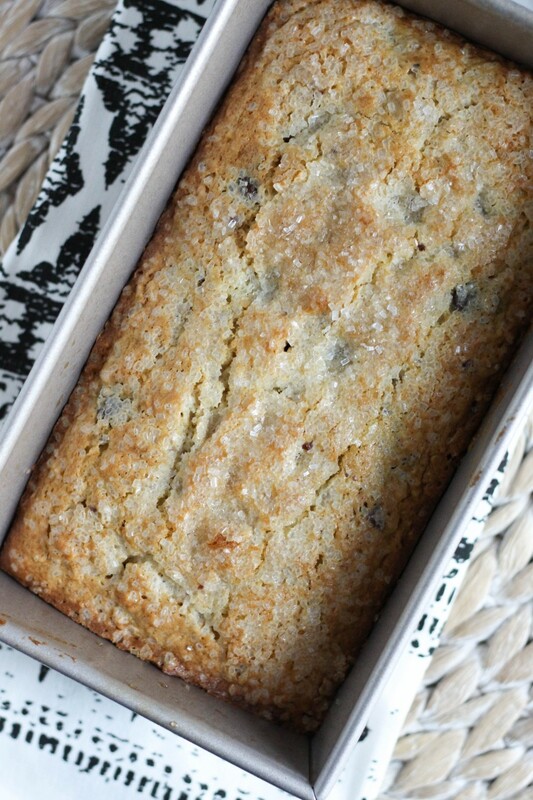 In the end, we end up with a loaf that really feels and tastes like a hearty breakfast muffin. But we don’t have to scoop out portions and use muffin liners here- instead we can just scoop it all into one pan, and slice off a piece to enjoy anytime. Easy- just how I like my breakfast cake. 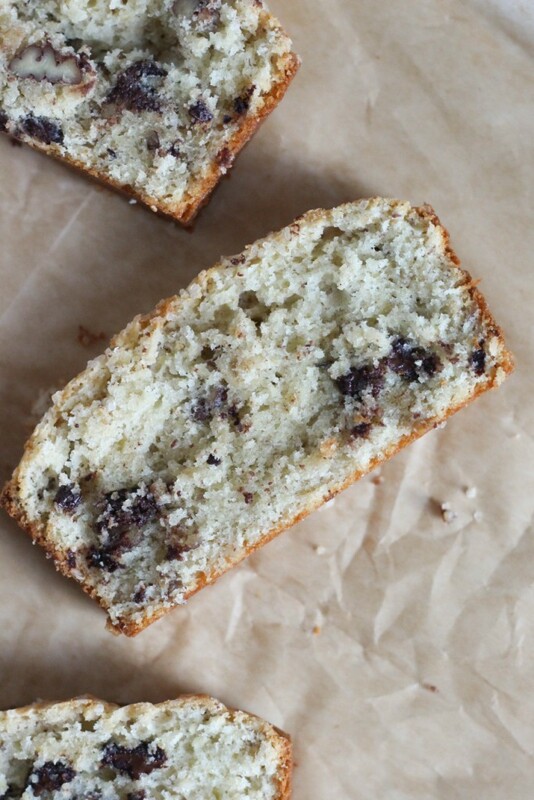 This recipe came out of needing something fast, easy, and using up some random pantry items. But I truly love the results here, and I think you will too! Enjoy! 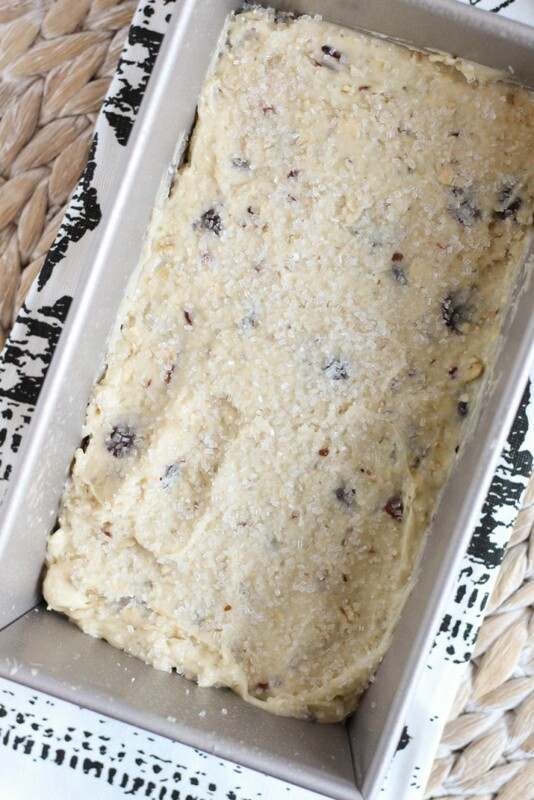 Preheat your oven to 350 degrees, and grease a 9 inch loaf pan. Set aside. 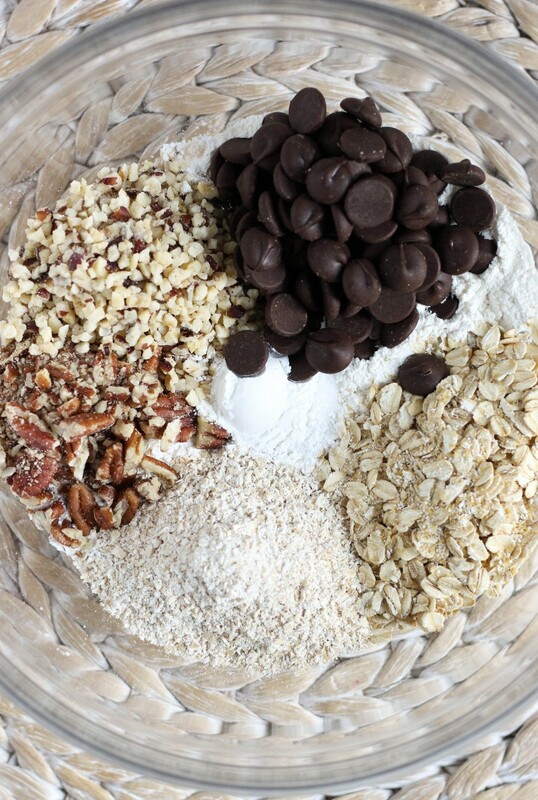 In a medium bowl, stir together the cake flour, baking powder, salt, oats, blended oats, nuts, and chocolate chips. Set aside. In another medium bowl, beat together the butter and sugar until fluffy. Beat in the eggs, vanilla extract, and sour cream and beat until smooth. Slowly beat in the flour mixture until completely incorporated. Pour the batter into your prepared pan and spread evenly. Sprinkle the coarse sugar over the top. 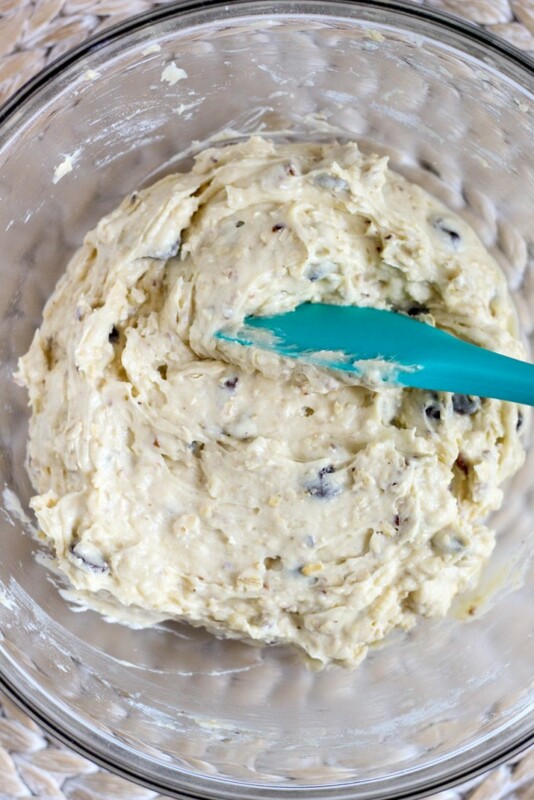 Bake for 35-40 minutes, or until a cake tester comes out clean. Cool and enjoy!